I am glad to announce that a few days ago my friend József Zsebe published his new book, entitled Paper & Form (Papírforma). The bilingual (English and Hungarian) publication openly targets the more experienced folders, containing 13 original and witty models (with one exception, all animals), whose diagrams were certainly sought for by regular visitors of József's Flickr page. 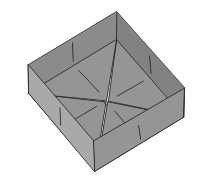 Not only the book's contents is of high standard, its implementation is also attractive: the computer-drawn, detailed color diagrams are straightforward and comprehensible, while the hard cover provides a solid appearance. 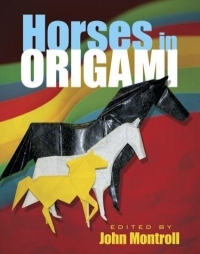 The book can already be purchased online from the Origami Shop website. ...then, in August 2013, we found ourselves in one of the exhibition rooms of the museum, folding the younger brother of our first T-rex skeleton (which was at the time almost exactly 10 years old) as a decorational piece for the museum's new exhibition entitled Giants of Patagonia - Dinosaurs from Argentina. 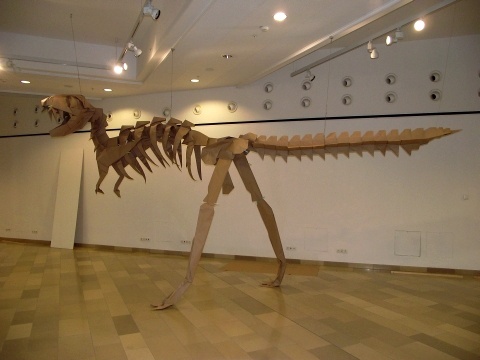 Thus, the old thought became reality: an origami T-rex skeleton showed up together with real-life dinosaur fossils. If you would like to see them yourself, the exhibition is open until the 31st of July, 2014. 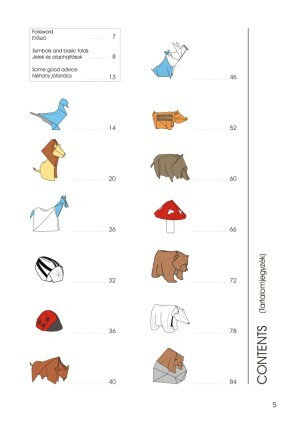 And if you would like to try something easier to fold, which is still a dinosaur, then check out this newly added diagram. 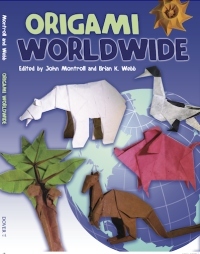 For a long time, I wouldn't even dream about seeing one of my models included in a book by the origami legend, John Montroll... This never-existing dream then suddenly became real, when Mr. Moustache appeared in Origami Worldwide, a book which John co-authored with Brian K. Webb, published in 2011. That was already quite a big honour, but two years later another model of mine was invited: this time my Centaur will appear in the thematic collection entitled Horses in Origami (soon available). Thanks a lot, John! Welcome! 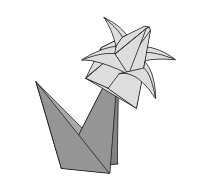 The aim of this website is to present the most of my paperfolding activity. For instance, you can have a look into the contents of my books, while in the gallery section you will find photos of a number of models folded by me (including some of my own and some of other people's designs). Diagrams for many of my original models are available for purchase, some of them are also offered as free downloads. As "public service", I have made available the explanation of symbols used in diagrams, as well as a guide about basic folds. 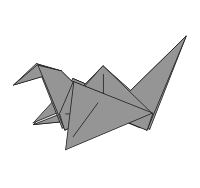 For further origami-related surfing I have collected a number of useful links. 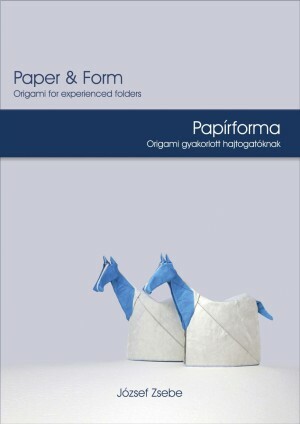 I learned paperfolding as a young child from the book "Papírcsodák" (Paper Wonders) by Tibor Pataki. Only later, around the age of 9-10 did I begin designing my own models. Along the years I have learned more and more tricks of the trade from foreign masters (the works of John Montroll, Robert Lang, Marc Kirschenbaum and Jeremy Shafer were the most inspiring to me, but I could go on with names). Step by step my works evolved further and I became a known folder who has been invited to a couple of international origami conventions as special guest. Meanwhile I have presented the wide possibilities of paperfolding all across Hungary with numerous exhibitions. In this period I have made a lot of gigs and teaching sessions as well. Popularising origami I had plenty of local and countrywide media appearance (perhaps enough for a lifetime). Not forgetting the pioneer work of Mariann Karlócai, Tibor Pataki and the Hungarian Origami Society, I also have my share of making origami more known and reknown in Hungary. Since a couple of years my folding activity is low, as I prefer to spend my free time hiking and mountaineering inside and outside the borders of my country. From time to time I still accept folding commissions, if they are interesting to me.